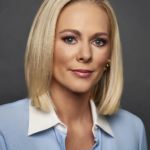 NEW YORK, NY – APRIL 26, 2018 – Margaret Hoover, author, activist and political commentator will launch Firing Line with Margaret Hoover this June on PBS. Hoover will bring together the brightest minds and freshest voices from across the political spectrum to engage in a contest of ideas about important issues confronting our nation. THIRTEEN, New York’s PBS station, will premiere Firing Line with Margaret Hoover Friday at 8:30 p.m. beginning June 1. Following the three-episode run on THIRTEEN, the series will premiere nationwide on PBS (check local listings). “Our mission is to renew the tradition of Firing Line for a new generation, offering a rigorous exchange of opinion with fresh voices addressing the challenges facing our democracy,” Margaret Hoover explained. Taped at the Cheryl and Philip Milstein Family Loft Studio at the Tisch WNET Studios at Lincoln Center in New York City, Firing Line with Margaret Hoover offers viewers an opportunity to engage in the debate about the America that we want to create for the 21st century. The show will maintain the character of the original series by William F. Buckley, providing a platform that is diligent in its commitment to a balanced exchange of opinion. The series comes at a time when meaningful discourse is needed more than ever. In order to frame the issues and give context to the discussion, the show will be complemented by archival footage from the original Firing Line series, which broadcast more than 1,500 episodes during its memorable 33-year run. The Firing Line archival collection is housed in the Hoover Institution’s Library and Archives at Stanford University. Firing Line with Margaret Hoover is executive produced by Tom Yellin of The Documentary Group and Margaret Hoover. Creative News Group LLC for WNET is co-producer. Neal Shapiro and Stephen Segaller are executives in charge for WNET. 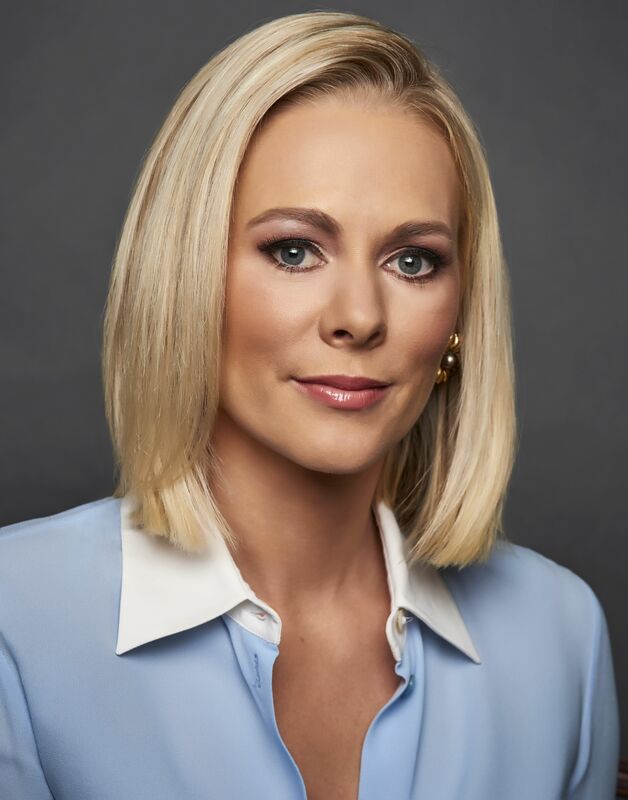 Support for Firing Line with Margaret Hoover is provided by Stephens Inc., The Robertson Foundation, Marlene Ricketts, The Asness Family Foundation, Daniel S. Loeb, David Tepper Charitable Foundation Inc., and Spencer B. Haber. Margaret Hoover has served in The White House, in the Department of Homeland Security, on Capitol Hill and on two presidential campaigns. A CNN political commentator, she is the bestselling author of American Individualism: How a New Generation of Conservatives Can Save the Republican Party (2011). Ms. Hoover is the president and founder of American Unity Fund, a political organization focused on achieving full freedom and equality for LGBT Americans by working with conservatives. Her writing has appeared in The New York Times, The Wall Street Journal, The New York Daily News, The Daily Beast, CNN.com and FoxNews.com. Ms. Hoover serves on the boards of Stanford University’s Hoover Institution, the Hoover Presidential Foundation, and the Belgian American Educational Foundation. Ms. Hoover is the great-granddaughter of America’s 31st President, Herbert Hoover. Raised in Colorado, Hoover has lived in China, Mexico, Bolivia and Taiwan, speaks fluent Spanish and studied Mandarin Chinese. Ms. Hoover lives in New York City with her husband and their two children. THE DOCUMENTARY GROUP is an award-winning independent production company founded in 2006 with offices in New York and Los Angeles. The DocGroup produces long form and short form films for the major commercial networks, public television and cable, as well as for the educational market, digital distribution and theatrical release. Tom Yellin is president and co-founder of The Documentary Group and oversees all of its projects. Recent films include the 2016 Academy Award nominated feature documentary, Cartel Land (Winner Best Director and Best Cinematography at the Sundance Film Festival), the feature documentary Midsummer in Newtown (Premiere at 2016 Tribeca Film Festival), the feature documentary and social action campaign Girl Rising, and Academy Award-Nominated Operation Homecoming. Other projects include TV specials We Will Rise (CNN) and The Homefront (PBS), as well as the limited series Invisible Killers (Discovery), The Age of Aerospace (Discovery) and America in Primetime (PBS, MSNBC). The Doc Group’s programs have won numerous honors, including the duPont, Peabody, Emmy, Gabriel and Polk awards. WNET is America’s flagship PBS station and parent company of THIRTEEN and WLIW21. WNET also operates NJTV, the statewide public media network in New Jersey. Through its broadcast channels, three cable services (THIRTEEN PBSKids, Create and World) and online streaming sites, WNET brings quality arts, education and public affairs programming to more than five million viewers each week. WNET produces and presents such acclaimed PBS series as Nature, Great Performances, American Masters, PBS NewsHour Weekend and a range of documentaries, children’s programs, and local news and cultural offerings. WNET’s groundbreaking series for children and young adults include Get the Math, Oh Noah! And Cyberchase as well as Mission US, the award-winning interactive history game. WNET highlights the tri-state’s unique culture and diverse communities through NYC-ARTS, Theater Close-Up, NJTV News with Mary Alice Williams and MetroFocus, the daily multi-platform news magazine focusing on the New York region. In addition, WNET produces online-only programming including the award-winning series about gender identity, First Person. Through multi-platform initiatives Chasing the Dream: Poverty and Opportunity in America and Peril and Promise: The Challenge of Climate Change, WNET showcases the human stories around these issues and promising solutions. In 2015, THIRTEEN launched Passport, an online streaming service which allows members to see new and archival THIRTEEN and PBS programming anytime, anywhere: www.thirteen.org/passport. "Firing Line with Margaret Hoover" Logo.